New work by Madeleine Preston showing in ‘Bad Mannerism’ – a group show opening tomorrow night at Galerie Pompom. Curated by Chelsea Lehmann the show also features work by Drew Connor Holland, Lynda Draper, Chris Dolman, Bruce Reynolds, Chelsea Lehmann, Madeleine Preston and Chris Aerfeldt. The title ‘Intolerable Leisure’ comes from Albert Camus’ The Plague. The quote comes to mind when I think of the beauty Paris Museums contain and how many of the riches came at the expense of the disenfranchised. The series of works I am now making as part of ‘Intolerable Leisure’ are in response to works of art seen in Paris museums including The Cluny Medieval Museum. My current focus is on work where the function or meaning has been lost in time and translation. 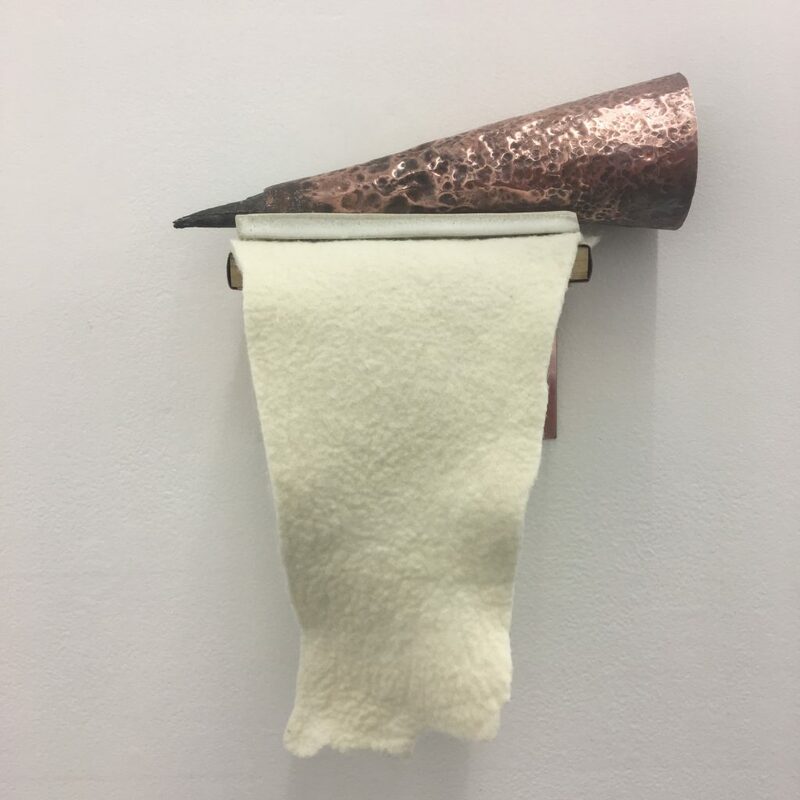 Pictured is Intolerable Leisure (vessel), 2018, copper, felt, ceramic and wood, dimensions variable.